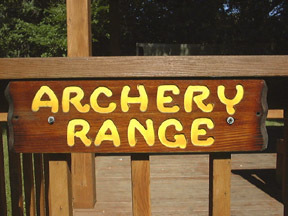 Archery is taught using small to medium compound bows and target arrows. Safety and sportsmanship are an important component of the activity. Each age group (6-7 and 8-9) has their own range, with larger bows for the older groups.